"David, the Man of God"
Was reading in 2 Chronicles 8 last night, a randomly opened chapter, when I noticed an interesting reference to King David. This was written long after his death, in the context of describing the works of Solomon. In recalled a past order of "David the man of God." David could have been described in several ways, based on his history: "David, the murderer of Uriah the Hittite" or "David, the adulterous king" or "David, the polygamous poet" or "David, the prophet who fell." But the author of Chronicles leaves us with high respect for "David the man of God" in spite of his mortal weaknesses. Perhaps that's a reminder that we might do well to remember the best of what others have achieved. In terms of modern Church leaders, perhaps we would do well to respect "the Lord's anointed" and recognize good but imperfect men and women who seek to serve the Lord as men and women of God, in spite of their inevitable failings. One of the many things I love about Wisconsin is the wealth of programming on Wisconsin Public Radio. One of the programs I get to hear sometimes is Zorba Paster on Your Health. It's a talk show with fun, friendly, and highly credible health information from an entertaining expert. During Saturday's show, Dr. Paster talked about a recent long-term study showing that children who couldn't delay gratification were much more likely to be obese when older. He talked about the obesity epidemic among American children and suggested that parents could help by training kids to not expect instant gratification. He said this is one of the most important duties parents have. I agree, for basic self-control is so important for success later in life. Sadly, too many parents neglect this and let kids think that they should get whatever they want - and NOW. Big mistake. Self-control and the ability to delay gratification may have an impact on physical health but perhaps more importantly on spiritual well-being. Following Christ absolutely requires this if we are to more fully love others and God rather than merely serving ourselves. Self-control is also important if we are to follow the Lord's inspired principles of sexual morality and prepare ourselves for successful marriage. Even relatively simple things like paying tithing require the ability to delay gratification and put longer-term objectives ahead of immediate pleasures. I agree that teaching this ability is one of the most important things that parents can do - and yes, they can! Kids might later choose to reject the training, but they can be taught. I'm surprised and excited that President Obama has named Utah Governor Jon Hunstman as US Ambassador to China. Marvelous and gutsy move, given that Gov. Huntsman was part of the McCain campaign. But what a great choice. Gov. Huntsman speaks fluent Mandarin (hurray! ), has two adopted children from China and India, and is very familiar with the country. President Kimball's prophetic comments about China 30 years ago seem more relevant than ever. We will continue to see amazing things happen in that country. Some saddening, perhaps, but I look forward to much joyous news. Good luck, Governor Huntsman! Such an Abundance of Liquor! Was shopping this morning at a popular Wisconsin grocery story with a name that outsiders just don't get: Piggly Wiggly. Haven't been there for a while. As I went to a few different parts to pick up a few things, it seemed that I ran into beer or liquor at every turn. I wondered how many distinct liquor displays were in the store, so I paid attention and counted. Two aisles were dedicated to liquor and beer: two sides to each aisle for four total separate alcohol sections. But there were prominent end displays for each of those aisles. That's a lot of space! But it was just the beginning. I noted that there was a big chilled liquor area next to dairy products, and several big central displays scattered along the central lane of the store that cuts across the aisles. Alcohol was being marketed in prominent displays by the produce area, and more by the meats, and more on shelves in several other parts of the store. Liquor was on display across the store from aisle one all the way down to aisle 18; it was at the back of the store, at the front, and in the central lane. As I approached the check out lane, there was a little tub with some more alcoholic beverages. All told, I counted TWENTY-SIX (26) distinct regions of the store marketing liquor Each side of the liquor aisles counted as one, and the end displays were counted separately. Two non-adjacent floor displays in the produce area were just a couple feet apart, so I counted them as one, but separately counted the cardboard boxes of Schlitz on the shelves not far from those floor displays. In counting all these booze-pushing sections of the store, by the time I got to 19, I actually came close to swearing. Well, just a fleeting temptation, honestly. Got past that by singing a couple of hymns. Well, beer songs, actually. Was a rough morning. Our state has a drinking problem. More accurately, our nation has a drinking problem. Who can resist the profit incentive that drives grocers to market booze at every turn, with every expanding sections of the store devoted to pushing this harmful drug? With all the harm that this product causes to so many people, I'm disappointed that so few have the courage to not join in the profiteering. Well, whoever is resisting out there, thank you - and please let me know who you are. We need to pay more attention to the dead in these matters. They really count. When cities like Detroit or Milwaukee have more registered voters than living eligible citizens, you know the dead are playing a huge roll in our society. Let's reach out to them and at least include them in polls. Maybe we Mormons can help. We've got baptism for the dead--why not ad opinion polls for the dead? And maybe we can spread a little pro-life advertising toward their side of the veil while we're at it. Hey, if we can just get everyone who becomes Mormon on the other side to vote pro-life, maybe we could swing a few elections here in mortality? Nah, we don't want to politicize temple work too much. Any ideas? With some background in the consumer products industries, I've learned how important customer relationship management is. I've also learned how valuable it is to get feedback from customers, and now I often go the extra mile to let companies know when there is a problem they need to fix. Today I tried to go the extra mile to help a company improve something. I gave them several chances to retain me as a customer. But they left me feeling abandoned and irritated. Now I'm a customer who may never come back. Going through the experience and observing my reactions and emotions was an interesting experience, one that I think helps me better appreciate a different customer relationship issue: meeting the needs and addressing the concerns of members of the Church, some of whom can quickly become ex-members. So today at the O'Hare Airport, Terminal 3 (near the beginning of the G wing and I think H also), I had an interesting experience that quickly cost a major frozen yogurt chain one of their once loyal customers. 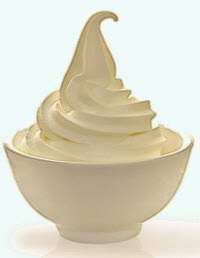 I had a small cup of frozen yogurt, a mix of the two flavors of the day, "old fashioned" vanilla and chocolate. Yawn--but as a loyal fan, I was willing to settle for that. As I ate my yogurt, I noticed how disappointing the flavor was. What was it? How could they make both be so disappointing? Then came the aftertaste--yuck, a larger than expected dose of artificial chemicals, the taste of unsuccessful artificially sweetened product. I went over and looked at the signage: it said non-fat, but there was no indication that either yogurt was sugar-free. I asked the woman there and she explained that yes, it was sugar free. Doesn't that need to be listed? Whether the law demands it or not, consumers certainly should be told when the product is sugar-free because many of us want to know--some because that's a plus, and others like me who wish to avoid high doses of artificial sweeteners, if only because they taste bad. I was really unhappy about that and tried explaining to her why they need to let consumers know. I explained three times before I seemed to get an acknowledgment: she said she'd pass the suggestion on to her boss. Oh well. There's no way the chain would do this nationwide, I thought. They need to know and fix this. With a few minutes before my flight, I went to their website, wanting to let them know that they've got a labeling problem in Illinois. The website provided no phone number, but did have a "contact us" page with a form a user could fill out to register a complaint. I spent a couple minutes filling it out and typing up the story, and then hit submit. A new page came up indicating that there was a SQL error and that a field was invalid: "You have an error in your SQL syntax; check the manual that corresponds to your MySQL server version for the right syntax to use near 'Hare Field - Terminal 3-Concourse K-4, Chicago'." Drats - I should have listened to that prompting to bring along some MySQL manuals for this trip. Tried other choices, still got errors. Impossible to send them a message with their contact form. Impossible to call them. Wow, talk about leaving their customers out in the cold. I went back to the store and asked for a phone number to call management. They gave me the name of the company that owns the franchise and a number with 7 digits, no area code, and they didn't know what area code it was. I also gave them my receipt and asked for a refund since I was unhappy with the mislabeling and poor quality. No, they couldn't do that. Why? They had just "cashed out"--I guess in changing shifts. Hmm, that's the first time I've heard that excuse (hey, it could come in handy someday: "I'm sorry, dear IRS, I'd love to give you more of my money, but I've cashed out for this shift"). OK, now I had a phone number. I tried the two area codes I knew for the area, 847 and 630, but neither worked. Called directory assistance and got the number for the company in the area. That took me to a fax machine. (I considered trying to leave a fax message by making fax sounds into my phone, but that always frightens passers-by when I do that in public.) Then I noticed a number on my sales slip. Called it. No answer. Tried the number the employee had given me with the area code on the sales slip. Got an answering machine. Left a message. Do I think they'll ever call back? Who knows. But now I was marveling at how hard it was to talk to someone about my concerns. So here I am, after genuine efforts to reach someone to explain a problem, without getting anything close to an answer and seeing several layers of dysfunctionality in the company. In a few moments, a loyal customer became one who may never come back. He might even tell others about his bad experience. They may have the best yogurt in the country, but the mistreatment on one day at one store makes an impression which is hard to overcome--but it was much more than that. It was the concern that they don't care about properly labeling their product, that they don't make it possible to get answers to questions or to register complaints, and that "they" don't seem care to help a troubled customer. A few minutes with an informed customer service rep may have fixed things: "Yes, Mr. Lindsay, we're so sorry. There's no excuse for that--we'll get it fixed. And would you please accept a coupon good for some free, all natural high-sugar yogurt? Enough, in fact, to give you and three family members diabetes? It's the least we can do." That might have kept me. Maybe just a kind and informed word or two, and an assurance that I was being heard and that they would look into the problem. But now I'm a lost soul in frozen yogurt limbo. Which brings me to the topic of retaining our own members when they run into trouble. Have you shared my frustration of seeing people who once were happy, vibrant members of the Church suddenly give up on it? There are all sorts of rough experiences people can have in a church without professionally trained clergy and numerous mortals among our members. In addition to problems with service (their interactions with others, including those running the local shop), some have problems with the quality of the product or the labeling. Some feel that they have been mislead and not informed about the tough issues and unanswered questions of Mormonism. We may not have good answers--we may not have anything more to offer than an apology, but they deserve attention and answers from those who can listen, understand and respond. Troubled members cannot be ignored, nor should their concerns be dismissed or equated with personal wickedness. We must never assume that the man or woman who is expressing doubts about the "product" of Mormonism is doing so because he or she is having an affair or has picked up some other serious sin. People with objections may have been offended by some interpersonal event, but they may just be having a sincere theological struggle or intellectual challenge that you may not appreciate. Just as the woman at the yogurt place didn't seem to understand why I was concerned about the errant labeling of the product I had consumed, so some of our fellow Latter-day Saints may have real objections to how we tend to label and package some things. (To be fair, this is a problem for every religion. There is a lot of baggage and complex stuff in any belief system - just spend a few minutes leafing through the Old Testament if you think your Christian church is immune.) Let's take their concerns at face value, listen to them, get them in touch with people who can listen and empathize and maybe even offer solutions. Let's not turn our backs on them and make their quest for help as frustrating as my little experience at O'Hare today. Our members are more precious in God's eyes than any customer to any business. These are His children and He expects us to minister, to listen, to love, and to help, not to judge. We may find some will leave us after all we can do because they have fundamental objections, but that's OK. Respect their wishes, stay friends, love them, and recognize that they are still important, precious children of God wherever they end up. Personally, I hope they won't leave. I hope all of you who are members will grow in the joy that the Gospel brings, in spite of the puzzlements. But if that changes, I hope we can still talk and respect each other. Learn from each other. Maybe even follow each other on Twitter. You know, the stuff of true friendship. Instead of getting all heated up over our religious differences, we would sometimes be wiser to make like frozen yogurt and chill. 4 One thing have I desired of the LORD, that will I seek after; that I may dwell in the house of the LORD all the days of my life, to behold the beauty of the LORD, and to enquire in his temple. . . . The Temple was vital to the ancient Jews. It was also important to New Testament Christians, who gathered there daily after the Ascension of Christ (Acts 2:46), though they were not in charge of the edifice. Many suggest that the need for the Temple done away when Christ rose from the dead. However, the Bible prophesies that the Temple will continue to matter. When Christ returns in His glory, He will go to the Temple in Jerusalem (Malachi 3:1-3). Afterward, the Saints will serve God day and night in the Temple during the great Millennium (Revelation 7:15). Sounds like it will still matter and still have a role (although the Rev. 7 reference may refer to a temple in heaven, not a temple on earth). When I was a bishop doing temple recommend interviews, I usually forgot to ask the question about lifting up one's soul to an idol, but I hope it was implicit in the other questions I asked. It is a holy house, a place of purity, where serious preparation is required to come and participate. Rabbi Abraham Heschel said that the Sabbath is like a temple in time. Jewish scholar Jon Levinson, whose writings about the ancient Temple have done much to strengthen my appreciation of the ancient roots of the LDS temple, built on the idea by saying that "The Temple is to space as the Sabbath is to time." (Sinai and Zion) Yes, this is so true. They are both interruptions in the profane world, a place where man can step into and experience the sacred, either sacred time or sacred space. The Temple is there to help man prepare for entering into the presence of Deity, the place where we seek the face of the Lord. Like the Psalmist, we should meditate upon and yearn for the great blessings of the Temple. I've heard so many people talk about all the hate on talk radio. Tonight I decided to see what that's all about and tuned into a talk station from nearby Tulsa while I'm here in Arkansas at the moment. Man, was I surprised. I've never heard so much hate as I did from Clark Howard, the seemingly sweet guy who hates scams, hates crooks, hates rip offs, hates high prices, hates dishonesty and even hates rotten products. I can see why talk radio is such a threat. But I did learn something I had to pass on--I guess hate is infectious. Clark spread a little of his gentle hate toward an interesting scam. Ever get a call on your cell phone from a number you don't recognize and call it back to see who was trying to reach you? Guess what - the area code to that number may take you to a foreign phone service that can charge you a large amount for your call. That's right - there are a number of three-digit area codes that look just like ordinary US area codes that connect you to other Western Hemisphere nations. The most popular one may be 809, for the Dominican Republic, but there are others such as 284 or 876. Snopes.com notes that there has been much hype over the threat of 809 area code calls, but does acknowledge that scams do occur with this number. Clark implied that this scam is on the rise again, using calls to cell phones to lure a victim into calling back. He offers a few suggestions on his post about this topic. Well, that was all the hate I could handle. If you want more, you'll have to listen yourself, while this form of hate speech is still legal. But beware: his kind of hate is infectious! I've know some of his regular listeners who got hooked and became super frugal just like Clark. What's this got to do with a Mormon blog? Uh, provident living, yeah, that's it. Be frugal - but without too much hate. What an amazing Mother's Day! We were privileged to spend part of it with a singles ward in Madison where an amazing friend of our was baptized yesterday and confirmed today. We're so pleased to know her and so proud of her faith and courage. What a great ward she has. I'm so proud of those young people and their love for the Gospel and their kindness to others. This special day included time with my oldest son, my daughter-in-law, and their two kids. Our plan was to stay there in Madison and wait for a super-special event that makes Mother's Day extra special for many mothers: the phone call from a distant missionary son or daughter. In this case, we were expecting a call from our son in Taiwan around 4:30 p.m. or so. My wife had emailed him earlier to let him know that we'd be in Madison, reachable by our cell phones. But as 4 pm approached, I began to get uneasy and felt we should head home early. It was one of those things that didn't make a lot of sense and I really would have enjoyed spending more time with the grandkids, but it just seemed time to go. I suggested that we leave, offering a couple of possible reasons, including the risk that our missionary son might want to call home instead of our cell phones. My wife and son felt OK with that, so we finished our good-byes and left, expecting to get the call on a cell phone while driving back to Appleton. Two hours later, within 5 minutes of arriving home, my wife was surprised and delighted to receive the long-awaited call from Taiwan. Our son was not aware that he should have called our cell phones, and I'm not sure that he would still remember the numbers if he had needed to try them since he missed the email or the part of an email that mentioned our trip to Madison and gave the numbers to call. Such a tiny little thing as getting us to leave early made such a big difference in the happiness of this day. What a treat it was to speak with our son in Taiwan and learn of his recent experiences and joy in his work. He has some terrific investigator families and is seeing some real success in a beautiful part of that country on the east coast. Solid leadership in his branch makes a huge difference in the success of missionary work there, and the kindness of so many many members and others in the community is deeply appreciated. He told us he's absolutely glad he's there and would recommend it to anyone. Nice to hear that! He was also thrilled to hear the details of the baptism and confirmation of his friend and ours. So grateful for these little things that really added up to some huge blessings in our lives. Imagine planning and working for months to land a particular dream job. It can be an exhausting process--learning about the company's needs, developing contacts with key people inside the company, tailoring your story to explain how you fit their needs, maybe even developing some additional skills to better qualify, then landing the interview, preparing, following up, waiting and praying for a response. Finally--yes!--you've got job. Years of academic or other preparation may have gone into that success. Now, after all that preparation and effort, you've reached your dream and have just begin as a new employee. Whew! Time to celebrate, kick back, and enjoy the success you've achieved, right? What? Are you kidding? Of course not. I hope that every reader here knows that the beginning of a new job is an especially important time. This is the time lasting impressions will be made in the company. Decisions will be made about whether to keep you, advance you, or drop you like a toxic asset. If you're ever going to really exert yourself, this is the time to do it. The beginning of your job is the worst time to kick back and slack off (no time is good). The end of the job search is the beginning of the real work. While that principle may be obvious when it comes to careers, it doesn't seem obvious to many people in many areas. So many times when we humans reach some big goal we've sought for a long time--getting married, getting a degree, getting promoted, winning some major award, whatever--we tend to relax, often missing real opportunities. Too often people focus on reaching some end that is only a beginning of some new phase in mortality. Mortality is an endless series of new beginnings, each of which requires our diligence, attention, and faithful exertions. Success in mortality is all about enduring to the end. "He that endures to the end, the same shall be saved" (Matt. 24:13). In our life in the Gospel, there are many moments that are new beginnings. The emergence of the new convert from the waters of baptism, receiving a calling, going to the Temple and making temple covenants, a mission, marriage, parenthood, leadership responsibilities, etc. In each phase there is a need for fresh alertness and diligence, seeking the Lord's help, learning how we can minister to others and whom we must reach and how. Each phase may tempt us to think we have reached some great goal, when in reality, we have entered a new beginning on the path that leads us to the only goal that really matters, a goal outside this mortal realm where relationships are coupled with eternal glory and we finally know and see things as they really are. And that will be another glorious new but eternal phase where the real work and joy begins. In Chapter 6 of Restoring the Ancient Church, Barry Bickmore discusses the existence of esoteric doctrines and secret rites in early Christianity. Many people have objected to the LDS notion of having Temple rites that aren't open to everybody, saying such a notion is unchristian. The first few pages of Bickmore's chapter on the Temple and early Christianity might dissuade you from that incorrect notion. The LDS Temple concept finds many parallels with early Christianity, with several core concepts apparently on solid ground. Read through Bickmore's chapter and let me know what you think. It goes on to explore some interesting details such as sacred vestments, the prayer circle, anointings, etc. In Lesson 15 of the teacher's manual for the LDS Gospel Doctrine class (Sunday School), there is a terrific story illustrating the gift of inspiration that can come when we turn to the Lord in prayer. As we were busily preparing for a Christmas dinner, my teenaged sister excitedly reached into the cupboard for the silver-rimmed china. The lovely set had been Grandmother's wedding present to Mom and Dad and was used only on special occasions. But as my sister removed some of the precious plates from the cupboard, she bumped her arm and the china slipped from her hands. Her desperate attempts to recover the plates were in vain, and the crash of china shattering on the floor was as heartbreaking as the look of helpless horror on her face. Mother's meal-preparing hands stopped in midair, and the festive chatter of a bustling household ceased as we all stood frozen in awful silence. Without turning around to see the damage, Mother quietly slipped out of the room. Then the rest of us tried to resume the tempo of our holiday duties. Except my sister. She stood motionless, a big tear trickling down her cheek. As another tear fell, she mechanically found the broom and dustpan and began sweeping up the scattered chips. Then on her knees, she slowly picked up the larger pieces and carefully placed them in the dustpan. Within a few minutes Mother returned to the kitchen and wrapped her arms around her grieving daughter. My sister began to sob out loud. Quietly [Mother] soothed, "That's all right, honey; people are more important than things." Mother later told me that she had gone into the other room to pray and was blessed with a peaceful feeling and the inspiration of how to comfort my sister. The gift of spiritual perspective given to my mother that Christmas day became the most priceless gift our family received. (Laura Russell Bunker, "The Art of Perspective," Ensign, Dec. 1998, 54-55). I've been that teenager standing before the shattered china several times in my life (usually in a figurative sense, but I've caused my share of physical disasters as well). I've also been on the receiving end, facing that startling moment of pain and unseen opportunity when something precious is suddenly destroyed by the mistake of another. How wise that mother was, how blessed her daughter and entire family was, because she had the discipline and wisdom to pause and pray before reacting to the pain. There are spiritual gifts of inspiration that God can give us if we seek them and seek Him in our moments of grief, inspiration that can turn everything around, even transforming broken china and a child's terror into powerful bonds of love with the miraculous spiritual gift of charity, the ultimate superglue.